Today I found out that a tiny shrimp known as the Snapping Shrimp or Pistol Shrimp, is on one of the loudest creatures in the World. This tiny shrimp species (Alpheus heterochaelis) belonging to the Alpheidae family grows to only 1-2 inches (3-5 cms) long, but don’t let its size fool you. The tiny finger sized critter is capable of producing a sound louder than a jet engine! These crustaceans are often a dirty-green color. They prowl the shallow waters of tropical seas like the Mediterranean. They can be easily identified as it sports one normal claw and one noticeably larger snapper claw. Its disproportionately large claw can be up to half its body size which makes it look like it’s wearing an overgrown boxing glove. The shrimp can be left-handed or right-handed and may feature the special claw on either arm of the body, but unlike regular shrimp claws and other crustaceans, it does not have pincers at the end of it. Instead the claw is designed rather like a pistol with two parts: a “hammer” part, that moves backward into a right-angled position, and the other half of the claw is in a fixed closed position. When it releases the hammer part of the claw it snaps perfectly into position and makes its tooth-shaped plunger move into a niche in the other half of the claw. It was once believed that the sound was generated when the two claw surfaces hit each other. But research has since shown that this isn’t the case. The snapping action of the claw actually shoots out a jet of water at up to 62 miles an hour (100km/hr) which generates a low pressure cavitation bubble that bursts with a loud snap. This phenomenon can be explained by Bernoulli’s principle, which states that for an inviscid flow, an increase in the speed of the fluid occurs simultaneously with a decrease in pressure or a decrease in the fluid’s potential energy. In simpler terms, when a liquid moves above a certain speed, the pressure within the liquid decreases. When this pressure drops, it allows tiny air bubbles in these fast-moving fluids to expand and if the pressure builds back up, the bubbles implode. The snap of the bubbles also produces something known as sonoluminescence, which is caused when the collapsing cavitation bubble reaches temperatures of over 4700 degrees Celsius or 5000 Kelvin. That is almost as hot as the surface of the sun, estimated at around 5,800 Kelvin (5,500 °C)! The sonoluminescence also produces a short, intense flash of light, lasting no longer than 10 nanoseconds and as short as 300 picoseconds (A picosecond is one trillionth of a second, a time scale beyond the measurement capability of researchers’ tools) and which can’t be seen by the naked eye. The whole process from the snapping of the claw to the burst of the bubble and the loud sound is almost instantaneous and takes place within 300 microseconds. Researchers were only able to study this fascinating creature’s abilities through ultra high-speed cameras that take 40,000 frames per second. 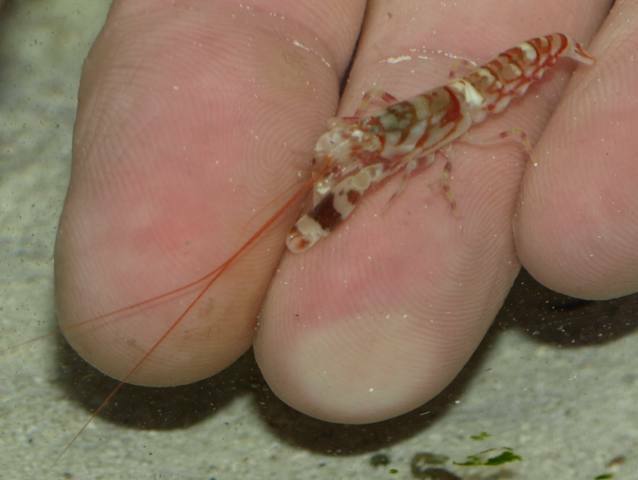 The shrimp uses this inherent talent for hunting prey, hence it’s called the pistol shrimp. While hunting, the little shrimp hides behind an obscured spot like a burrow and shoots its flashy bubbles at passing prey. The pressure of the snapping bubble is sufficient to stun a passing crab or even kill small fish. It then pulls the stunned catch into it’s burrow and feeds on it. The snapping shimp has proven to be stiff competition for larger animals like the Sperm Whale (230+ decibels) and Beluga Whale for the title of ‘loudest animal in the sea’. The snap of its claw releases a sound that can reach 218 decibels- louder than a gunshot. This species sometimes also live in colonies that can number over 300 members. Divers have witnessed the ceaseless cacophony that colonies of these shrimps produce; their loud crackling sound has been described as if a hundred people are cracking their knuckles at once, or like sizzling of fat in a pan or like 100 people bursting bubble wrap at once! Colonies of snapping shrimp consist of a single large female, the queen, and possibly a single male. The offspring are divided into workers who care for the young and soldiers who protect the colony with their huge claws. Most of the soldiers are males. 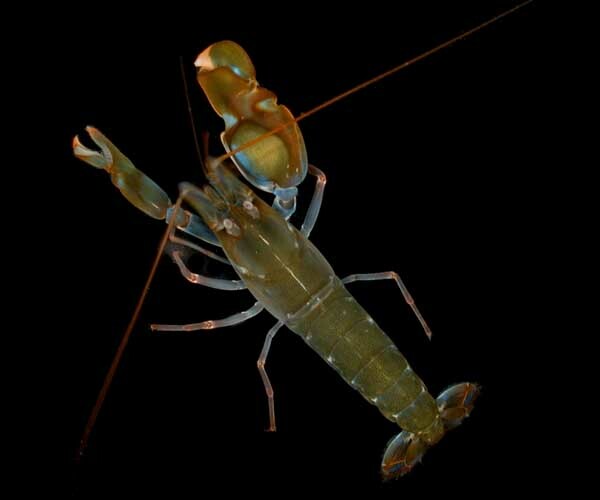 Another fascinating thing about these amazing creatures is that Naval Submarines have been known to hide amongst beds of Pistol shrimp to hide from sonar detection. Apparently the noise they create is so much that other submarines find it impossible to pickup other noises using sonar. 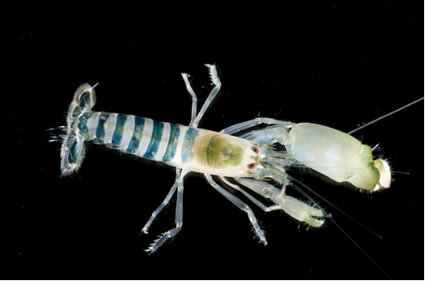 Pistol shrimp have have the ability to reverse claws. When the snapping claw is lost, the missing limb will regenerate into a smaller claw and the original smaller appendage will grow into a new snapping claw. The Pistol Shrimp often shares a symbiotic association with the goby (fish). The goby has a good eye-sight and thus, warns the shrimp of any approaching predator in the exchange of food that the shrimp provides to the goby and the burrow that the Shrimp digs for both, itself and the goby, to live in. Wow, this site is full of interesting information. Honestly had NO IDEA that shrimp were one of the loudest creatures on Earth. That’s right… this site has the more interesting random stuff, however, not all shrimps are loud. It’s just this particular shrimp that possess this weaponry. The other shrimps.. they are just delicious ! As for the sound being louder than a jet engine, all the videos I have searched for don’t provide sounds that are very loud. Is it because the sound lasts such a small amount of time that our ears and brains can’t register the loud sounds and can only capture the low ones? Also, I would imagine the strength of the sonic wave to be related to the depth of the shrimp, since the pressure of the water plays an important role in collapsing the bubble. So maybe depths required to make such a loud sound dissipates that very sound into the water. Amazing site, I’ve been on here all day. Quick tip from the grammar girl: Learn to correctly use the possessive pronoun ‘ its ‘. It then pulls the stunned catch into (wait for it) it’s burrow and feeds on it. The simple rule that helped me to remember it was this: Use “it’s” only when it is short for “it is”, then everywhere else where you use it, it will be “its” – the possessive pronoun. Than could you say , the Pistol shrimp has the quickest reflex? When I watched channels I saw that the tiger pistol shrimp was nearly the size of a octopus.but I guess they just made it look that big for shows. I know this article is pretty old, but at least one of the facts you listed at the end I know isn’t true. There are several aquarists who keep certain species of pistol shrimp and I’ve never heard of the glass breaking because of the noise. I have however heard of the mantis shrimp, who has a very powerful blast, breaking aquarium glass, so you may have been thinking of that.